The yellow bus rides to and from school are like the bookends to a student's school day. In collaboration with Woodland Hills School District, we investigated the current state of school transportation and searched for opportunities to create a more enjoyable riding experience for both students and bus drivers. Our team designed Discoverables, an interactive system that cultivates 'aha!' moments, fosters collaboration across digital and analog formats, and promotes a sense of community among each bus. For more information and other great solutions, check out the yellow bus blog. 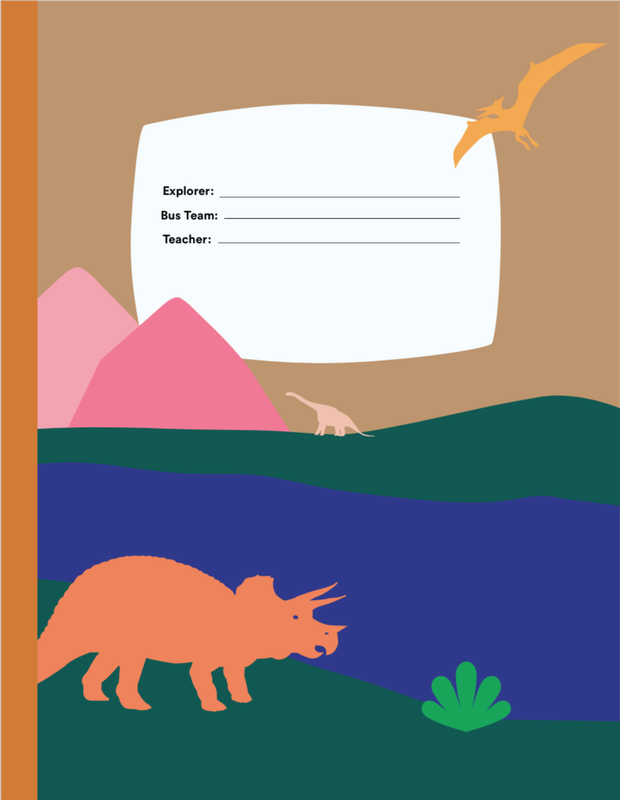 Disclaimer: We do not take credit for the dinosaur illustrations used in our project. For many students, bus rides are not a positive experience. From waiting for the bus to getting to school, there are a lot of factors that can affect the bus environment and the experience in that space. After talking to students in workshops and sending out surveys, we learned that the on-bus experience is often not engaging or productive and can lead to disciplinary issues. How might changes to the bus environment increase the engagement and safety of students? The analog and digital activities engages students during their traditionally boring bus ride. Rotating game themes introduce students to topic areas they otherwise wouldn't get to explore. Competition between buses create a common goal for students on the bus, creating a positive, collaborative space. Like the classic game "I Spy," Find-It! engages kids on paper and on screen. Big brain teasers to get kids to work together. Creative games that tap into the imaginative minds of kids. A dynamic scoring system in school that shows progress in an engaging manner. 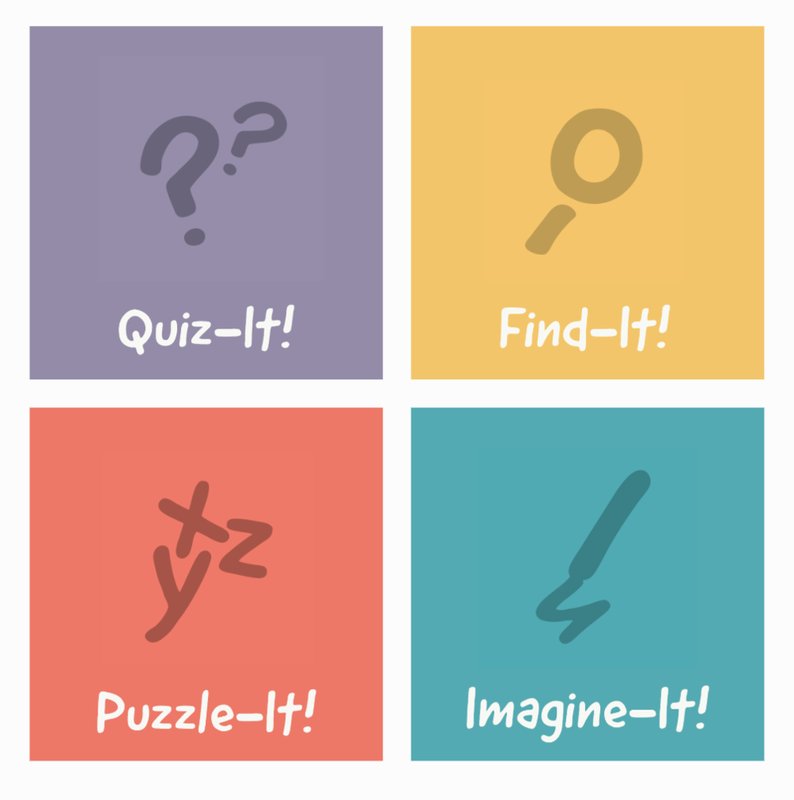 Themes rotate after a series of games are completed as a way for students to discover new topics. The game involves teachers, bus drivers, and game masters for it to run smoothly. As a class, we learned more about the bus experience from speakers, reading Pennsylvania bus policies, and visiting schools. We scoped out the wicked problem by learning how social, environmental, political, socioeconomic, and technical issues affect the school bus experience. For our workshop, we planned activities to gain the trust of our stakeholders and learn new insights about the school bus experience. 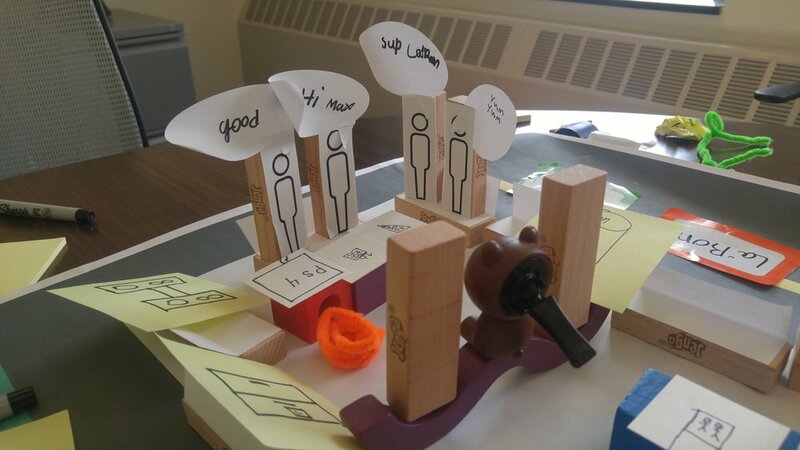 In one workshop, we asked students to redesign the school bus based on a prompt. We found common themes in our research and learned that students value comfort, personalization, and positive social engagement. As a group, we started off with sky's the limit brainstorming and then narrowed them back to a level of feasibility. We presented our current state in the project and received feedback from stakeholders. We brainstormed and tested out different formats for our Discoverable ideas to see which ones would work best. We experimented with scale and interaction while considering viability and organization within the system. Many meetings later, we began to refine our idea--giving Discoverables its forms and Robert created stylesheets. We also had the opportunity to validate some of our ideas in another workshop with students. We started off with a wide range of students and ended up working with middle schoolers the most. However, we did not get to spend enough time researching what interests middle schoolers would be attracted to and prompt them to play the game. 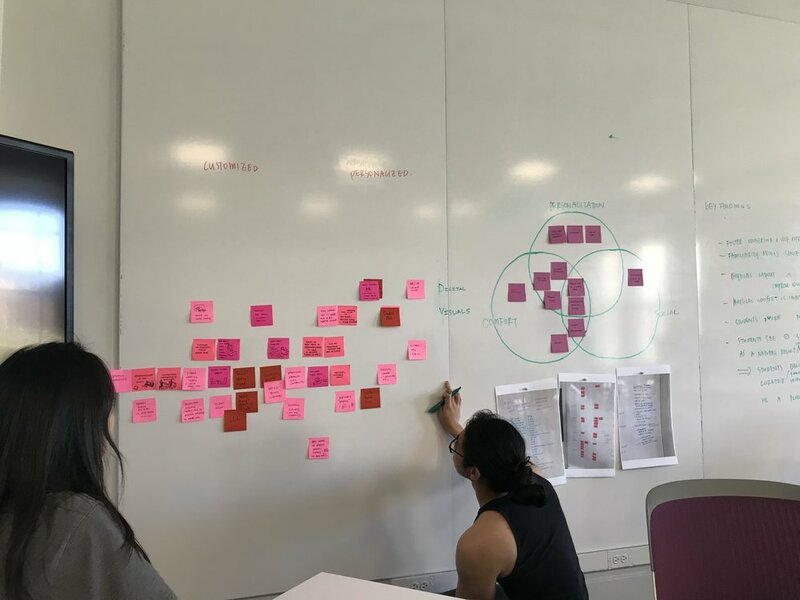 This is an important step to figure out what topics and prizes would be incentivize students to want to participate in the game (designing sneakers, comics, life advice, cooking, etc). Bringing the game into the classroom and doing a trial period to unravel the things that work and didn’t work. It will help us understand not only the interest in content and game but also get a logistical sense of the system.